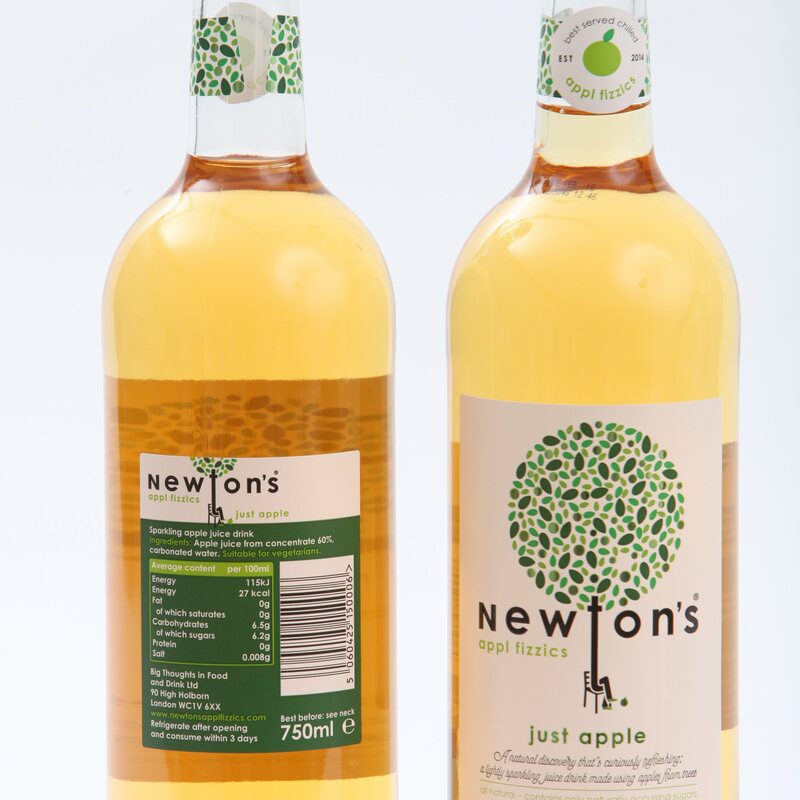 Newton's appl fizzics is a curiously refreshing blend of apple juice and sparkling water. It is all natural and contains no artificial ingredients, preservatives or added sugar. In fact it contains about 40% less sugar than apple juice on its own. This case contains 6 x 750ml glass bottles. 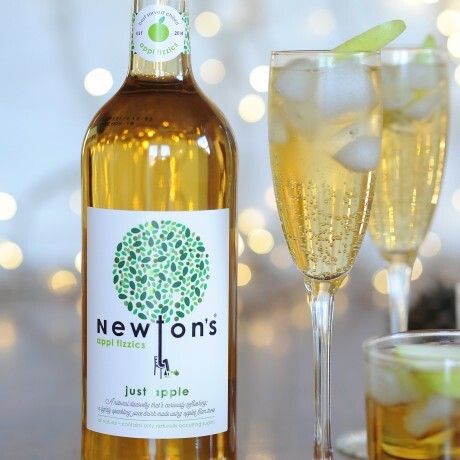 Newton's appl fizzics is alcohol-free. It is ideal for sharing as an alernative to wine and goes really well with food. Average content per 100ml: Energy 115kJ / Energy 27kcal . Fat 0g . Carbohydrates 6.5g. of which sugars 6.2g. Protein 0g. Salt 0.008g. Really enjoyed this drink. Tastes really light and not sticky with sugar as other fizzy apple drinks taste - almost sparkling water with apple - but actually the juice content is 60%. I think it's great to try for sure - love the label design too. Ordered some of this to see what it was like and loved it. Ordered some of this to see what it was like and loved it. Great refreshing taste, somehow different from other apple drinks. Well packaged and with a thoughtfully handwritten card inside too. Will definitely be ordering some more! 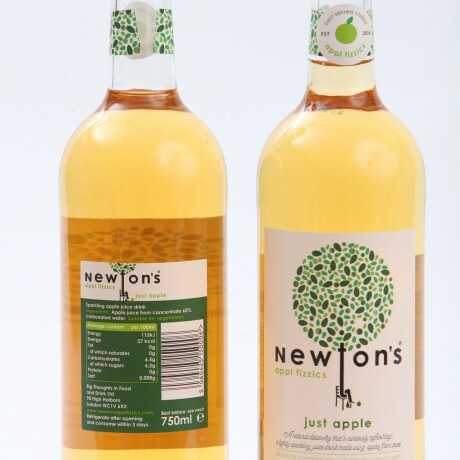 Refreshing, all natural blend of apple juice and sparkling water, with no added sugar or preservatives.